HALLIE EPHRON: A few weeks ago I visited Lucy in Key West (and yes, I felt as if I was walking around in Hayley Snow’s shoes with the cat man and Lorenzo the Tarot card reader) and a mutual friend who’s not a fiction writer asked a question that stopped both Lucy and me in our tracks: Why do you write? Lucy’s answer tells you as much about her as it does about her series. Today, as her fabulous new Key West Food Critic mystery, KILLER TAKEOUT, hits bookstore shelves, I’m posing the question to her again. Why DO you write, and why this series? First, I write because I can't imagine not writing! What would I do with the ideas that crash into my mind at all hours of the day and night? And more seriously, how would I spend my time if I wasn't doing this thing that I love? And there are so many gratifying moments. Like the morning when a lousy collection of words get shaped into a decently told story. And typing THE END, that's definitely a top moment LOL. Then seeing the book in a store or library. And struggling with a plot thread that won't seem to resolve and suddenly coming upon the answer as I walk the dog or talk it over with a friend. 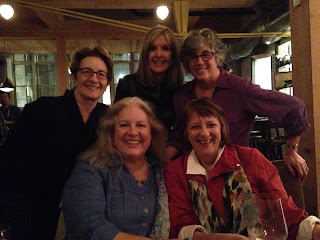 Speaking of friends, I love the colony of writer and reader friends that I've gotten to know since I began writing (that's you guys!) 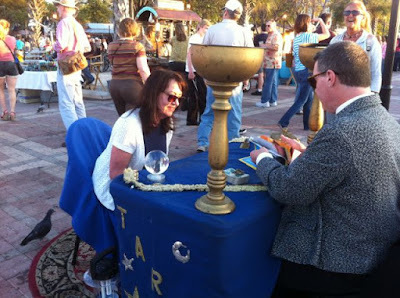 I love the support and enthusiasm and and affection, and the way mystery writers assume they they will pay it forward. And there's nothing like fan mail from a reader who totally understands my characters. Or a review that nails themes that I didn't consciously plan for. HALLIE: One of my favorite things about your series is Key West. The Place. There’s nowhere else quite like it, and your delight in it is infectious. It’s sweet, silly, outrageous, beautiful… And when I visited there I wasn’t surprised to find it exactly the way you describe it. The food. The people. The sunsets. LUCY: I love being able to share with readers the quirky island of Key West that I've grown to love over the past ten years. HALLIE: And it feels as if you’ve tapped into a particularly deep well when it comes to these characters. LUCY: Thanks for that! Some people have asked whether it isn't boring to write a series--or if not dull, at least harder then starting fresh. But I'm crazy about writing series because in each book, the shape of the characters and their backgrounds deepens. And I enjoy imagining how difficult events will affect their lives going forward, and how they work out old dramas in new and better ways. And I love being surprised. 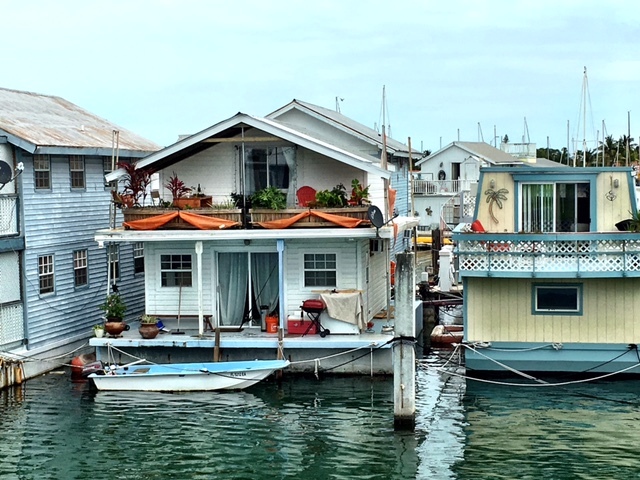 In the first book, An Appetite for Murder, I didn't spend much time imagining Hayley Snow's neighbor at Houseboat Row, Miss Gloria. But now she's become the character that I hear most about from my fans, except of course for Lorenzo the Tarot card reader. HALLIE: Before we let you go, can you share one new thing - a place or a character or a twist in a character’s life — that snuck its way into this book when you weren’t looking? Thanks for reading! 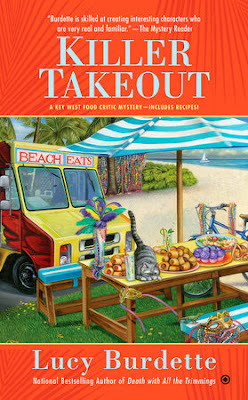 KILLER TAKEOUT is available wherever books are sold! Writer Reds, why do you write? Reader reds, what makes you want to spend time with a new book? I'm particularly glad that you can't imagine not writing because I'd surely miss reading your wonderful stories with Hayley and her friends. Anticipation of a new adventure in a series I enjoy is part of wanting to spend time with a new book; simply reading the latest book written by a favorite writer is another part. Today I'm excited about finally getting to read "Killer Takeout" . . . .
A new Hayley Snow! Congrats! Why do writers write? Why do people breathe? I write for all the same reasons. I treat it as my job, which it is - but it's the best job I've ever had. Congratulations on the release, Lucy! Your note with the questions looks like one of mine. "Shouldn't she be X?" Fun stuff. Sending up a cheer for you from snowy Boston! It's such fun to follow Haley and her adventures… And Key West is such a treasure to read about! How did you end up there, anyway? Hooray for your wonderful series-- and for you! I write for the same reasons Lucy lists - I can't imagine NOT writing. If I stopped, I'd just wander around muttering stories to myself, and society frowns on that. Happy Book Birthday, Lucy! I write for the same reason's you list. And as for Key West--what a great place to be, you truly bring it to life. Happy Book Birthday, Lucy! This is how well you transplant your readers to Key West: Sometimes I forget I've never been there because I have been there - in your series. And yes, writing is how crazy ideas can leave the brain, land on paper and leave us on this side of the wall. Can't wait to read this one. The recipes are a bonus. Congratulations on the launch of Killer Takeout - I'm keen to get my hands on it! Sometimes I think I write in order to discover what I think. I know that sounds weird, but I'm often surprised at what I end up writing about. And it's cheaper than therapy. Writing gives me a purpose that my day job just can't satisfy - that urge to create something. And yes, Hallie - cheaper than therapy! And reading takes me out of whatever dullness or frustration I might be experiencing - or it can be just plain cathartic when life gets to be a little too much and I've argued with The Boy about his homework for the hundredth time that day. Mary, I feel for you! Hallie and Mary--cheaper than therapy? Maybe, but then the writing drags on and on for a lifetime LOL (says she, the former therapist). But I know exactly what you mean: You might think you have the idea for what you write, but something about bringing the words alive on the page also brings major surprises. And that's such fun! Happy book birthday, Lucy! Terrific post! Huzzah, for the new book! It came yesterday, and I'm looking forward to the great treat of reading it soon. When I wrote my first book, in 1993, it was as if I was compelled to write it. The thing burned in me, every waking moment, and some sleeping ones, too. I finally realized that I was merging a vocation and an avocation: a path to a livelihood (although it never quite turned out that way. Yet.) with an interest that was deeper than a hobby, more like a passion. My husband has successfully merged his avocation and vocation now for 45 years, and I always envied his joy at working on something he loved so much. Seems to me that, as hard as writing is sometimes, it's still mainly a joyful process. The creating out of whole cloth, the infusion of so much life into imaginary people that they end up having adventures almost on their own. So how could you not write? It would be like not breathing. Happy Pub Day, Lucy!!!!!!!!!!!! Kayti and I got our copies this morning. Can't wait to read it! We love these books so much. Haley really has grown up in the course of the series, and I love her relationships with her friends and family. And then there's food and Key West! You've created something really special with these books. As for writing, I may be slow, but I can't imagine NOT writing. Very best wishes on the new book baby. I hope it lets you sleep through the night and gets the equivalent of a Noble Laureate! I'm very glad that authors NEED to write - it makes life so much better for those of us who want to read every day. I can't imagine not reading. Really! Even on a wonderful trip I have to have a book available. As for what draws me to a book, characters. I've got to like those people, or identify with them somehow. The plot can be fabulous, but if I don't like the people caught in it that book isn't going to work for me. I'll be roaming Key West again soon in your book, Lucy! Thanks. thanks so much all of you! Love hearing the other side of things--readers who must read. Because I believe all of us Reds are that kind of reader too. Pat D, I'm totally with you on the characters--that's what I read for most of all. FChurch, don't give up hope:), especially when writing brings you such joy! Happy Birthday, Killer Takeout and Lucy! Being fortunate to receive an early copy, I've read and reviewed it already, and it's featured on my reading blog today at http://www.readingroom-readmore.com/ I so love this series, and this one, with all its Fantasy Fest crazy, is so much fun. To quote myself in my review, "Every time I read a book in this series, I think it is the best one yet. They are all so much fun and full of the most animated, interesting characters that ever graced the paradise known as Key West." And, also, "Lucy Burdette has a magical way of making this beautiful island come alive to readers, and I'm convinced that she is responsible for increased tourism." Lucy, thank you for another delightful tale set in my favorite place of Key West. I received my pre-order copy today, which I plan on giving to my daughter, since I have a copy. She lived in Key West for a year, teaching elementary school, and visiting her was how I first fell in love with this place. You, Lucy, help me keep that love going. Oh, and writing? Even though I am not an author, I write quite a bit, with my blog and on here and other book places. I simply have to write about reading wonderful books and share that, because sharing reading is my passion. Lucy, this is charming. I wish... I hope I can visit Key West. Many friends over the years have lived there.